February is coming to an end. I could say that everything posted this month was a way of keeping a journal. 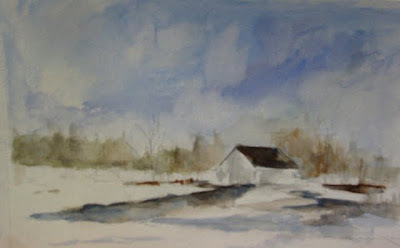 My studies consisted of reading Brian Ryders watercolor book and watching his dvd's excellent. Isn't funny how learning is like a winding never ending road. 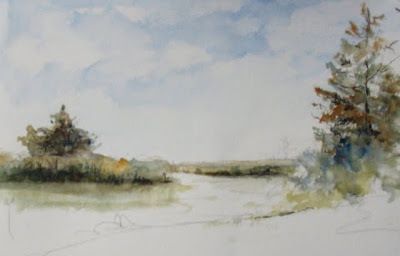 While studying Brian's work, Edward Seago became an artist I wanted to learn about. In Brian's dvd he paints landscapes not far from where Seago lived and painted. What I love most about his work, is the composition of the big sky. Of course it goes without saying that color and tone equally outstanding, after all Seago is one of the greatest masters who ever lived. So, to the point, method of my madness is simply to learn and grow as an artist. Now off to see my grand daughter. 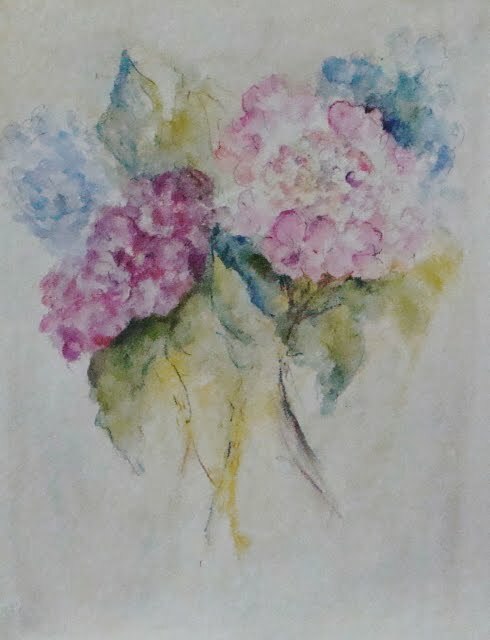 Still playing with water wash pencils. To late to paint, the sun was down, so I began this study. 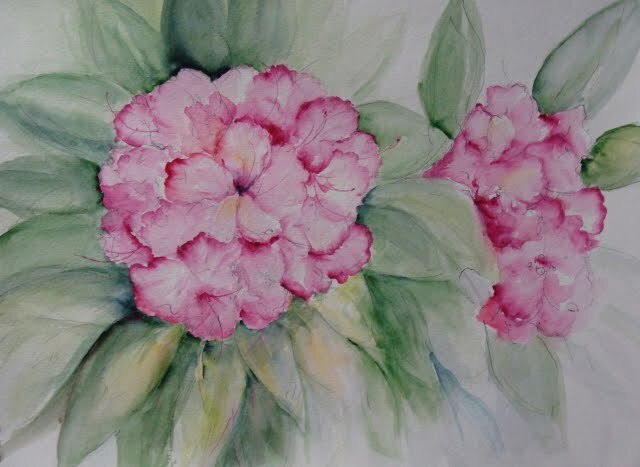 The previous is a study I did using my watercolor pencils during the summer. 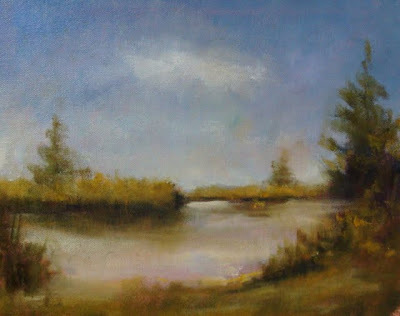 Today was the day to do some landscape painting in oil. Got up at 5am. After doing a few chores, I got THE CALL. " Grandma needed today." 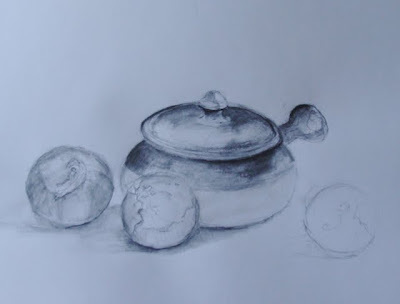 So as I sit and wait for the little darlings, here are some of my recent studies. 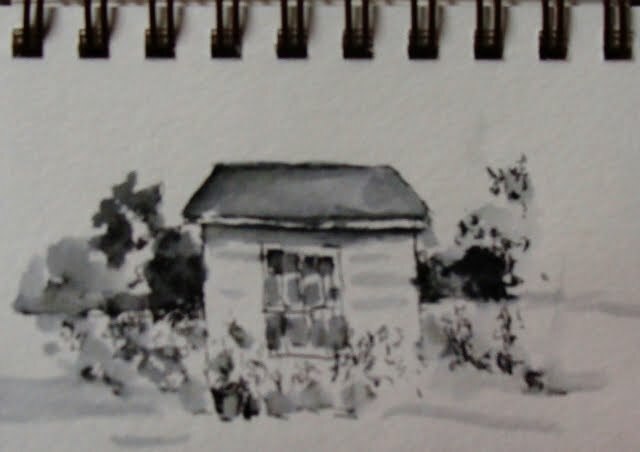 The first is The Herb Farm a watercolor sketch from a photo. We actually went there plein air painting last summer. I do have a 6x8 oil of my painting that was completed on location. This was just playing with watercolor. The white house located at The Grange Park in Sayville, another study to be hopefully done in oils. All in all, life is good and today is a play date with the wee ones. Good morning. 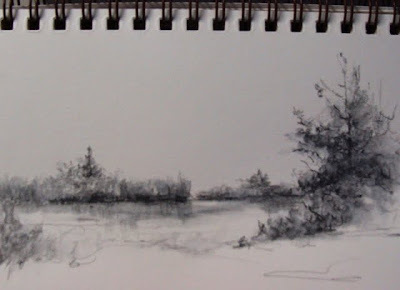 Why is it so difficult to find pens and inks that are not water proof. In my search I did find Higgins non waterproof ink, and also a sketch pen, fountain pen. But the one I was looking for is on back order. Vic, Brian's dvd Sketchbook watercolor painting he uses the pen with the non waterproof ink, enabling the ink to flow when wet with a brush. I've always loved that effect. So if anyone out there knows of pens and inks that I can purchase please let me know. In the meantime, my grand daughter is coming over for breakfast. Have a great day everyone. Happy Monday everyone. Blogging and morning coffee, a great way to wake up. This is once again, another sketch using pen and ink, watercolor in my craft paper journal. It seems that I hit on a new way to procrastinate. In doing these sketches my paintings that were started last week remain incomplete. So that being said, I will begin my day. Maybe it's time to organize my studio, then I will get cracking on finishing my oil paintings. This is another technique I have learned from my Brian Ryder dvd on Sketching in Watercolor. Thank you Vic. This maybe an old technique most of you have done, but gotta say it's all new to me. What I loved about doing this, is the way to hold the pen, and how to rest not your fingers on the paper but the heel of your hand. Hence producing shaking pen lines. Great fun. 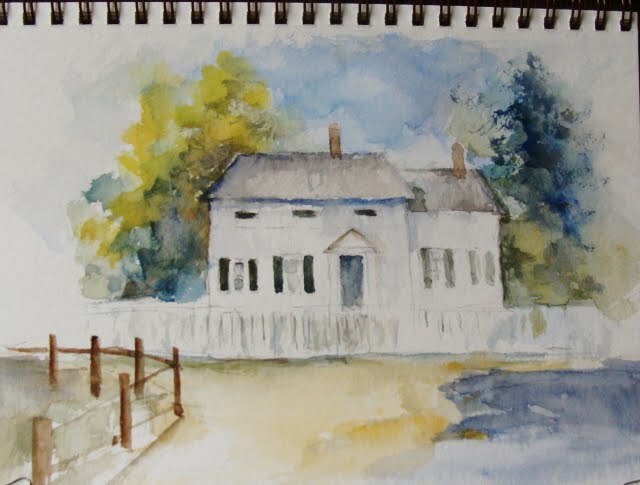 Another quickie watercolor. I did this in August. Just wanted to play with color and let the paint do it's own thing. Great fun. Happy painting all. Lately my main goal is simply to study. Not care to much about the end results. I will be creating many ugly ducklings until my search accomplishes what I want. These are nothing more than studies in composition. Once I am satisfied with the design , then it's tonal, color and on and on. 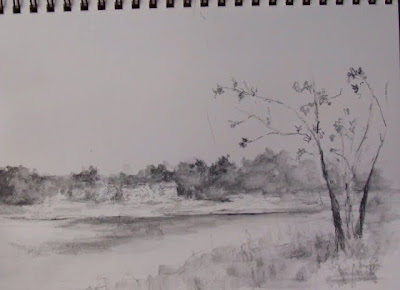 One thing I am certain of, is my love of learning and growing as an artist. A Life Long Journey. Islip Grange Park "Melting Snow"
Yesterday was a day well spent. Mike and I went to A C Moore for a few art supplies. Then off we went to the Islip Grange Park, in Sayville. 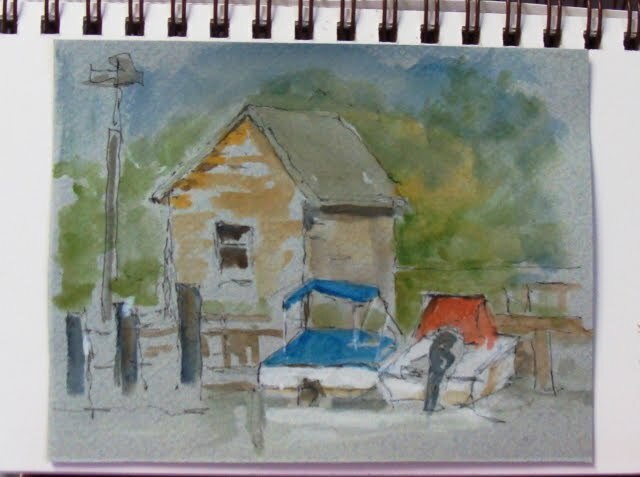 Using my new Visual Journal watercolor 3.5 x 5 mini pad I did this sketch on location. 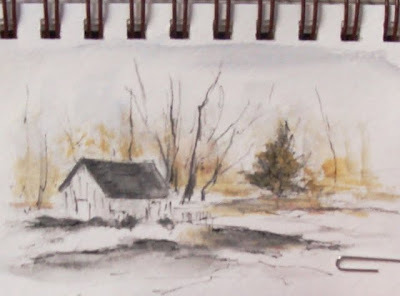 The snow is melting and I couldn't resist doing this, using my micro pen and some yellow ochres watercolor. This is another study of the fish hatchery over at Connetquot park. Trying to find a composition that I will be happy painting. Wishing all a very Happy Valentines Day. 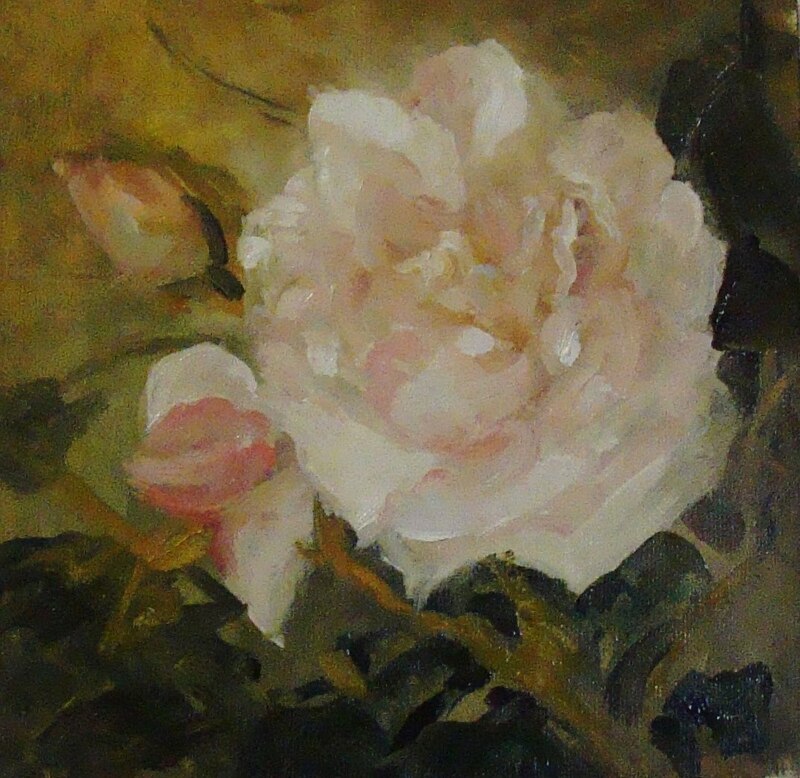 6x6 oil of a pink rose from my garden. 8x10 oil study. Thank you Vic Errington for introducing me to Brian Ryder's dvds. Today I began using his technique. Yesterday it was 2hrs. 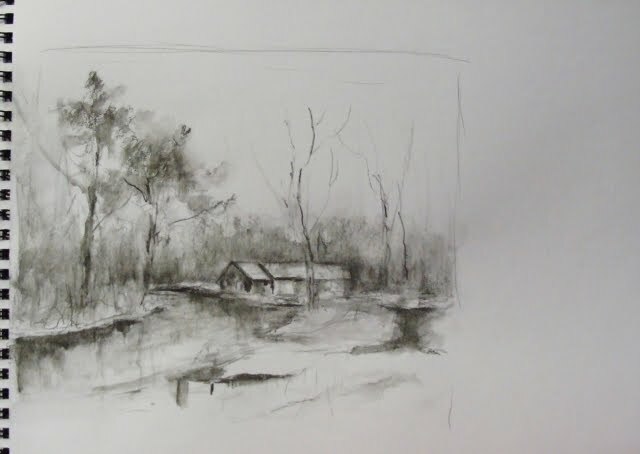 watching this wonderful artist demonstrate his plein air painting. I was so eager to start. First the under-painting, the sketch, the layering in color. This is as far as managed to get done. 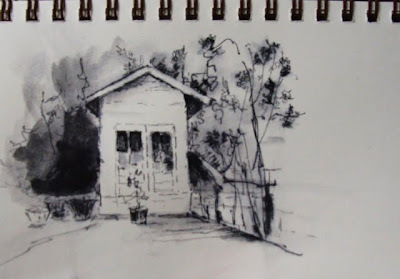 First is was a sketch using my water wash graphite pencil, then I proceeded in using a pen and ink and watercolor. Once I knew what I wanted the fun began. By no means is this complete, still needs so much more work. It amazing what a grandma can go when the little ones aren't visiting. Next week will be a busy week. I do have lots of work that needs completion. But it is so much fun. 8x10 still life study. This was started 2 days ago. I will finish it, hopefully tomorrow. I don't have the grand children for an overnight, so tomorrow is looking good. I did it!!! Yeah!. 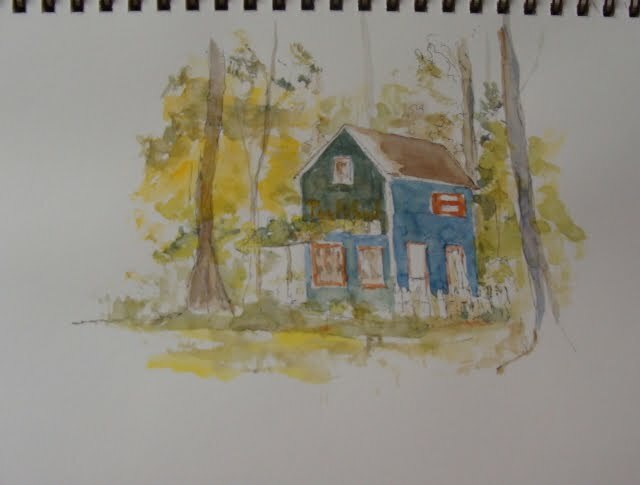 Went to paint plein air yesterday. We drove to the fish hatchery at the park. Thank you Joan, you found a beautiful location. 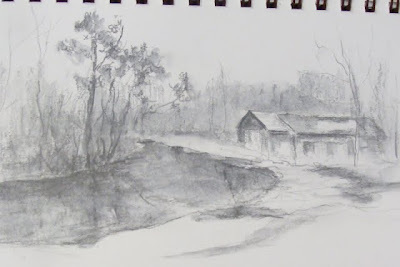 I did this plein air sketch using water-soluble graphite and a aqua-brush. 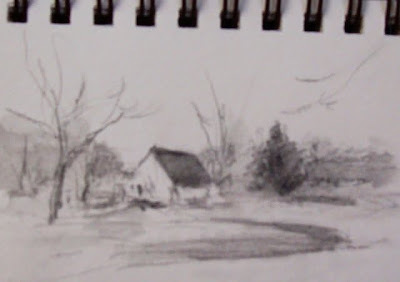 It was a quick sketch, my hands went numb. 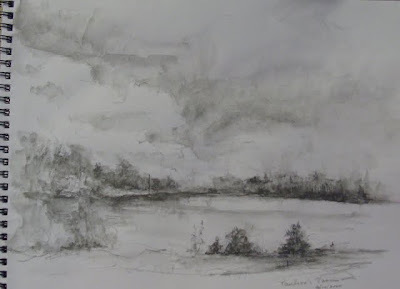 Thank you Maggie Latham for a the inspiration to make tonal sketches using the water-soluble graphite pencils. As for the deer sketch. I did this quick sketch from photos we took. I couldn't believe how these magnificent animals actually posed for a picture. 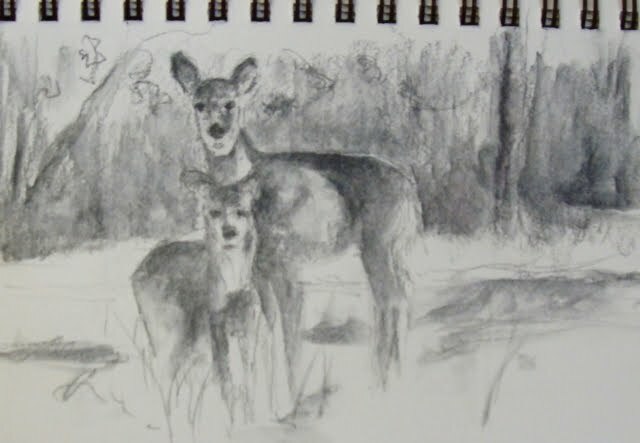 So I will continue to make more studies and learn how to draw and paint deers. Oh, life is good. 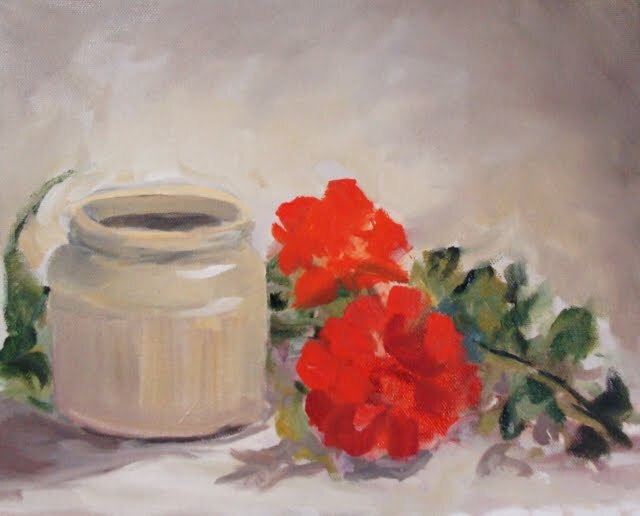 Happy painting to all. 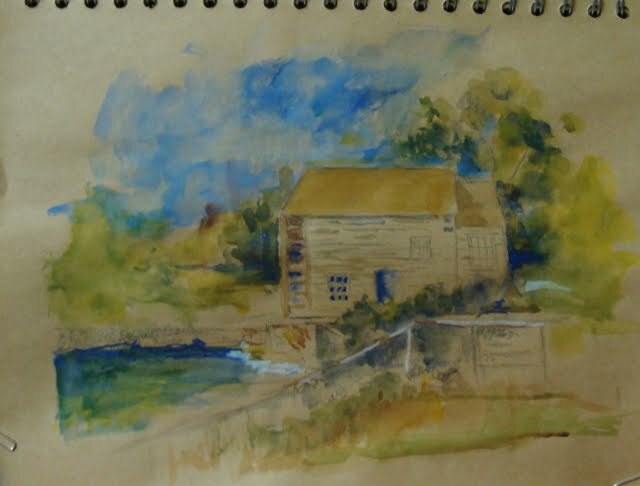 Oh, yes thank you Bruce Sherman for sharing your joy and dedication to plein air painting. 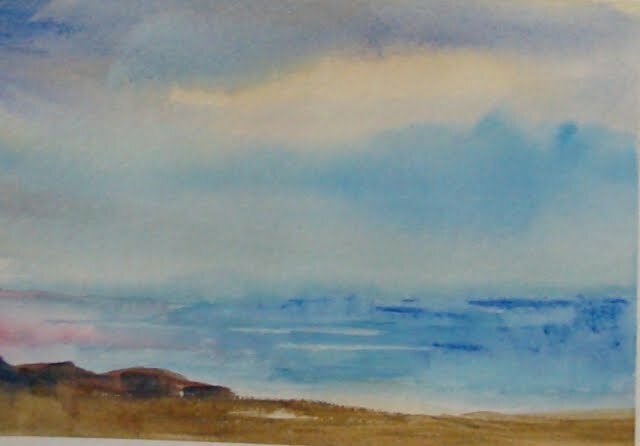 Watercolor from last spring. I will try to brave the cold today. Just to do a little plein air. Or, maybe not. Another cup of coffee first. 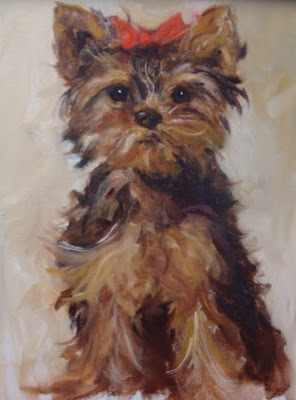 I did this 8x10 oil sketch in 2hrs. It probably could use a little more tweaking. What I enjoy is doing quick studies, eventually I will start working on larger pieces. Like most of my work these pieces are just an incubator of ideas to be worked on later. So for now it's practice, practice etc. My grandkids are spending an overnight visit with us, so this will be my last post for the weekend. Hope all is well with everyone. 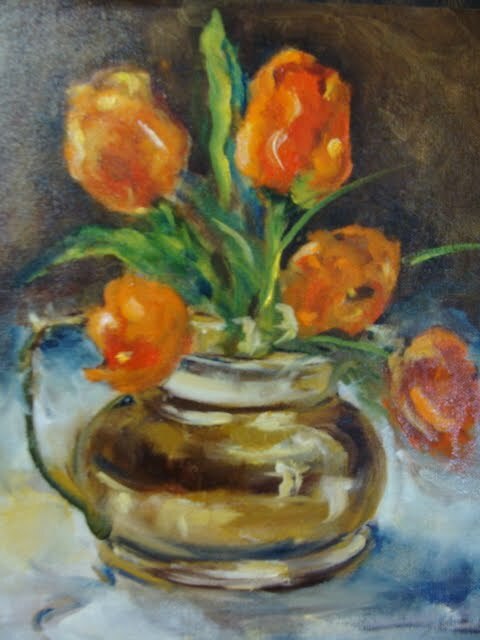 Happy Painting all. 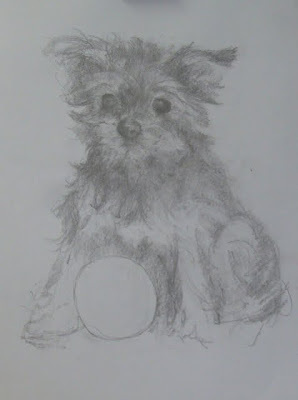 Quick sketch of a Yorkie. I started an oil yesterday. Just a little variety now that I have just one blog. 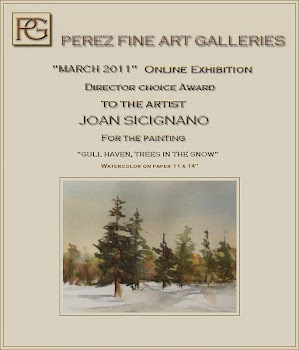 I will be showing my watercolors as well as oil paintings. This was a study done in watercolor . Just needed a break away from landscapes. Unfortunately my set up had to be artificial tulips. 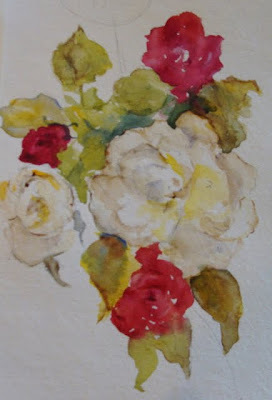 As soon as the weather clears , I will go to the market and buy fresh flowers.